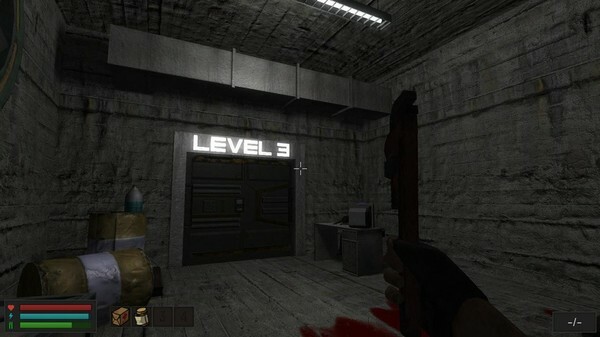 3D first-person shooter with RPG elements. Invention was available as a giveaway on December 4, 2018! How would you improve Invention? I DO NOT recommend this game for children due to the zombie images and a liberal splattering of blood throughout the game. 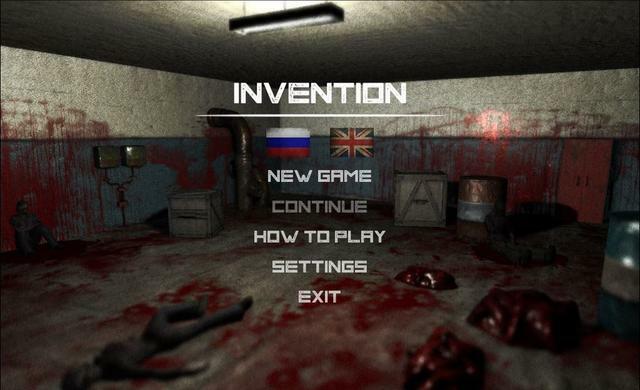 Although Invention is primarily a Steam game, you do not require Steam to play this version, nor do you need to register the game with a key. The game installs as a fully registered version of the game. There is no adware or browser re directions when you close the game down. It's just the game with no extra's included. The developer 'Falcoware' asks that if you enjoy playing the game would you please post reviews or feedback via the games discussion thread HERE. You need to be signed into your Steam account to be able to post a comment. To post your review or comment, start a new topic (unless someone else has already started an appropriate thread); for example, you could give it a title such as ''A Review of the non-Steam version of Invention. As noted by Boris (comment 2) below, you can't post a review of the game in the review section unless you own the game, but the discussion thread is just as valid for reviews, thank you. Please do check out the in-game videos of game play HERE, HERE, HERE, HERE, HERE, HERE and HERE (Jim Sterling video with some mild swearing) and almost 50 images (not suitable for viewing by children) via a slideshow HERE. Once installed the game file is 958MB in size. Apart from the games desktop shortcut, four other shortcuts are installed to the desktop; (Falco Space Online, FalcoGo WebG, Free Games and Falcoline Online Games Website). All four can be deleted with no effect on the game. There are no in game adverts or browser re-directions to Falcoware when you close the game down. The installed game is free standing with no additions (unlike the previous Invention giveaway last Dec 20th 2o17. 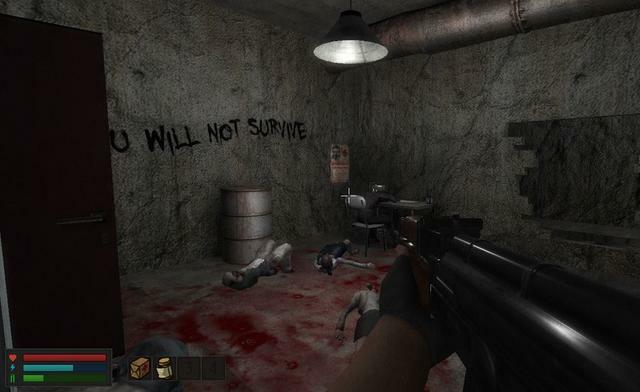 Invention is a first-person zombie survival shooter with RPG elements. 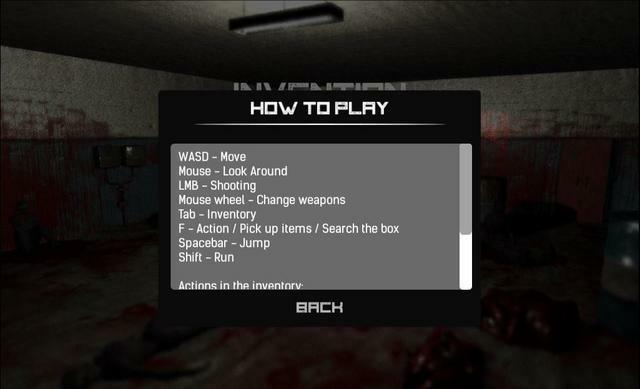 The controls are the usual shooter controls, which you can find via the How to Play button in the main menu. Unfortunately there's no way to change the keyboard settings, so if like me you prefer non conventional key bindings, you're out of luck. 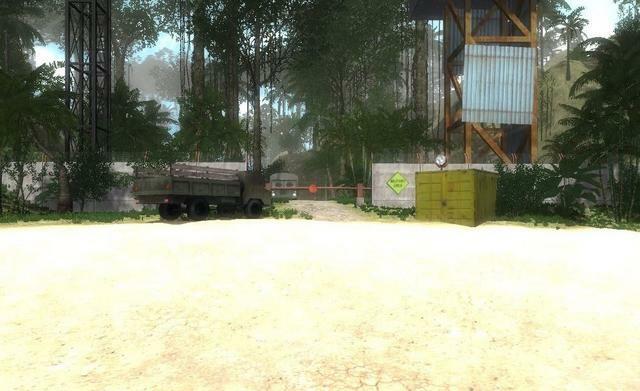 The premise of the game is that you are stranded on a mysterious island, which has a secret laboratory, where scientists were working on ways to create super soldiers. Unfortunately things went badly wrong and all the scientists were killed or became 'zombified'. You, the hero while searching for help, stumbles upon the laboratory. 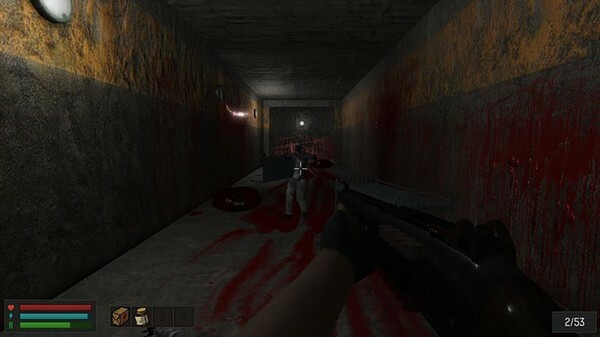 Finding no one around you enter the bunker and soon stumble on lots of zombies wandering around. 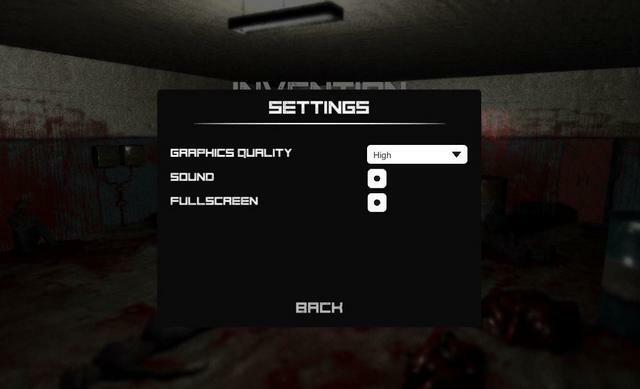 This is the first of two games that the developer Dark Light Studio have released in this series i.e. Invention 1 and 2. It's a unity based game (engine), so you can expect to see resources that have almost certainly been used in other games of this genre especially the zombie models, but don't let that put you off. Unity is a game engine with lots of free resources and the basic engine is also free, which has spawned a lot of 3D based shooter games over the last few years. The game is in the old linear format, which means you can't stray off the path, for example at the start of the game you find yourself on a beach, with the entrance to the complex you are about to explore in front of you. You can't go into the sea nor wander into the forest, but you can climb over the gate and wander down the path to the research facility, (but you can't stray from the path). Once you arrive at the complex and enter (using the F key), there's only one way to go, and once you've passed checkpoints (that are not indicated) you can't backtrack. The saves are automatic, so if you want to leave the game you may lose a little progress, but nothing significant. 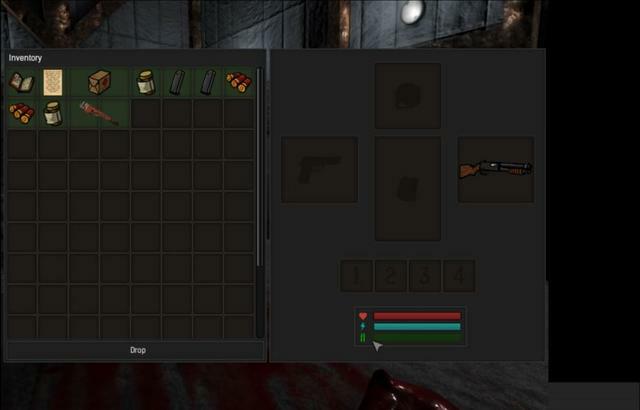 As you progress you can pick up items such as weapons, notes, ammo, first aid kits and more. You need to keep track of your health and food intake via the indicators in the bottom left of the screen. Your inventory can carry up to 96 items, though some items such as the first aid kit and the wrench take more than one slot. If you fill your inventory, you can choose to dump items by right-clicking on them. One annoyance I found was to get back to the game once you've opened your inventory (via the tab key) you have to use the Esc key then click on the resume game button. 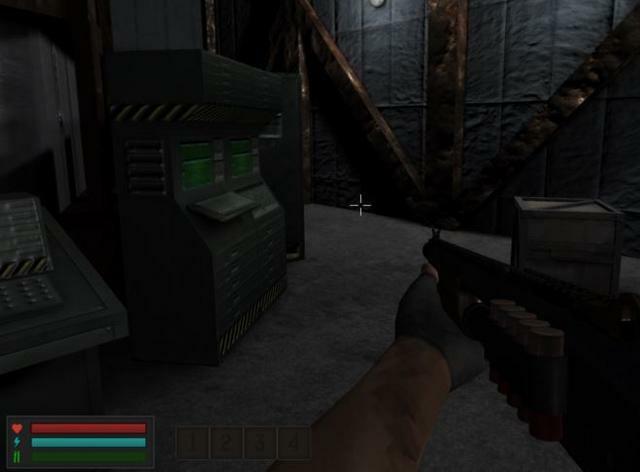 All actions apart from shooting for example picking up items or opening doors are performed by using the F key. One word of advice, watch out for zombies hiding behind doors. I died going through one door when I found three zombies hiding behind the door. Thankfully you only lose the progress back the the last auto save. 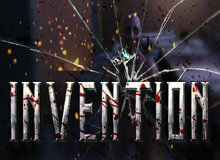 Invention is only £0.79/$0.99 on Steam, so, if you miss today's freebie, you can always pick it up via Steam HERE. The graphics remind me of first person shooters I purchased 15 - 20 years ago (for example Vietcong and Line of Sight: Vietnam). Apart from the retro graphics, the game is okay and for free you can't go wrong, especially if you like zombie games. If you like Invention, you can get the second installment via Steam HERE for the same price as the first game. You can see mainly positive reviews from the Steam community for Invention HERE. There are several in-game videos of game play HERE, HERE, HERE, HERE, HERE, HERE and HERE (Jim Sterling video with some mild swearing). Once you've had an opportunity to play Invention ‘PLEASE’ take a few moments to give some positive or negative feedback either here or via the discussion threads over on Steam HERE. ( You do need to be signed into your Steam account to be able to post a comment); for example, you could discuss what you liked or disliked about the game, or how it could be improved. You can access the giveaway comments section by going to the game giveaways home page, then scroll to the bottom of the page where it says Archives and select the date the giveaway was live (giveaway days are in bold type). This will open up the appropriate page for you to post your comment or review (Tues 4th Dec 2018). Alternatively, you can Google the name of the game and include Gamegiveawayoftheday in the search. Because the gamegiveawayoftheday has an excellent standing with all the major search engines, you should find a link to the appropriate page in the first several hits. If you're having problems installing or getting ’Invention’ to work please visit the FAQ's Thread HERE and/or read through the communities comments in case someone has already posted a fix for the issue; or alternatively, visit the Steam discussions thread HERE. I'd like to take this opportunity to thank the developer ‘Falcoware’ for giving away registered copies of Invention, and also to the game giveaway team, as always, for securing other ways to get free games. If ’Invention’ doesn't interest you, but you still hanker for something new to play, you'll find details of some game deals whether they be sale items, indie bundles or games being given away for free HERE (I've not updated the thread in a while, but most of the links still take you to the latest deals). The rest of the information that used to be posted in the game review can be found in the forums HERE. Finally, check out Delenns thread for details of other free games and offers HERE and elsewhere in the game discussion forums HERE, (usually on the first few pages of the game discussion forums). I just downloaded and installed Invention. It looks like a lot of and something totally different than what I've seen here for awhile. I'm not good at them, but I enjoy RPG (usually on Xbox) and this looked like one of those. However, the game won't play. I've got Windows 8.1. Do I need Steam to play this? If so, I guess I'll have to try and figure out how to install it. Thanks for any clarification. And, thank you to Falcoware for sharing this game. As I said, it looks quite a bit of fun and I'm *really* hoping to be able to play it. Thank you! Kris , I could play it without any Steam. Ootje, Thank you for the reply. I will try to see if I can figure out how to play it without Steam. I see the second one is a download today. I'd really like to get this figured out so I can get both to work. Thanks again, Ootjje! Kris, just install with the Setup from the GOTD-zip, on the day of the download. Just like a program, that are every day on the site of GOTD. Kris, just install with the Setup from the GOTD-zip, on the day of the download. Just like a program, that are every day on the site of GOTD. Ootje, That's what I did, but it didn't come up correctly. I did get it to work (some) today. I think that I need to check for the correct display when I open the game. I played it for a couple of minutes, but not sure I'm doing it right. I'm going to download today's game (Invention 2) and then get back again to the game and see if I'm doing it correctly this time around. Thanks again for your help! 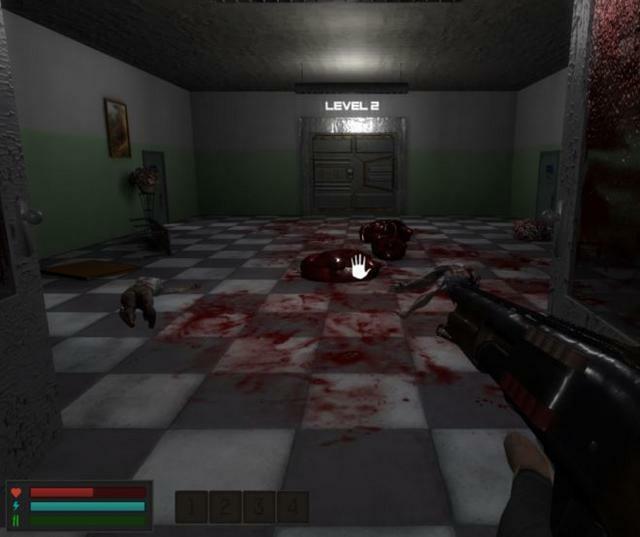 My first impression upon seeing the first room shown -- the colors and the bodies -- is that this is actually a first-person shooter game to enable people to vicariously shoot up a school gym, or a cafeteria, etc. It is disgusting and completely inappropriate. Not for me - I can't see in the dark! But on a sideways note . . .
"Contains the SymbianOS virus TR/ATRAPS.Gen." All are games downloaded from here - I'm assuming (and hoping) that's it's the wrapper, and I've just forgotten to delete the zip download which still has the wrapper in. But if I'm wrong, I would appreciate a nod (or a scream) to tell me to get a new computer! As you know, the wrapper contains Themida code, which is sometimes mistaken for malware by some virus scanners. It could be that the presence of the zipped giveaway may have caused them to see a false positive. "The developer Falcoware <...> asks that if you enjoy playing the game would you please post reviews or feedback via Steam HERE". Sorry, but you can't leave review/feedback in STEAM if you don't own the game in STEAM. For STEAM feedback you should give STEAM keys. Hi Boris, that not strictly true, You are right in that you cannot post a review via the review button, which is located in your Steam library, which means you'd require the Steam version; however, you can post a review or comment about the game via the discussion thread for Invention. If you go to the Invention page on Steam HERE and click on the ''Community Hub'' button that is located near the top right-hand side of the Steam page (opposite the games title). On the next page click on the discussions tab that is located just below the title of the game. When the discussions tab is open HERE, on the right hand panel is another button that says ''Start a New Discussion''. You don't need the Steam version to post a comment or review of the game in the discussion threads; however, you do need to be signed into your Steam account to be able to post a comment. To post your review, start a new topic (unless there is an appropriate thread already posted); for example you could give it a title such as ''A Review of the non-Steam version of Invention''. I hope this clarifies the situation.